Home - Water Heater, Inc.
OH! THE WATER IS COLD! I BETTER GET MY WATER HEATER FIXED! Water Heater Repair and Installation in Fort Lauderdale. We Install All Types of Water Heaters! REGULAR HRS 7AM-7PM EVERY DAY! Design, service, and installation of all water heaters and solar systems. We start with great design. All of our jobs are by expert installers and technicians, and we use only the highest quality materials. We can help you with complete projects for water heater, gas heater, solar heater, or hybrid heater repair or installation, you’ll be glad you called! We service all our customers with honesty, respect, competitive prices, and high-quality service. 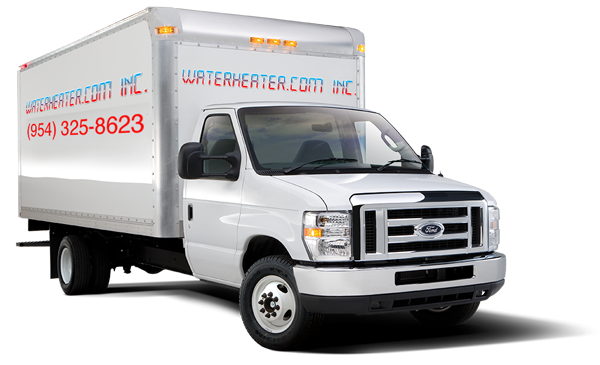 Water Heater.com Inc. provides complete water heater service and replacement. We service your heater by inspecting all of the normal elements: Elements, Pipes, and Wiring. We can tell you if there is anything in need of repair. We provide the parts for you and repair the system, easy as that! We are some of the most experienced in the water heater business! I am very satisfied with the work performed by this company. They clearly explained the problem and went over alternative solutions. Very good work at a very reasonable price. I highly recommend this company. I highly recommend Water Heater.Com Inc. Not only were they very knowledgeable but they were also very friendly. They knew exactly what needed to be done and offer recommendations to save me money in the process. Quick to respond. Very courteous, polite and upfront about what to expect with water heaters. Worked quickly and they did a great job. I would and will recommend them to any of my friends and family members. They were very good, they explained everything so I could understand what they were doing, and the price was very reasonable.